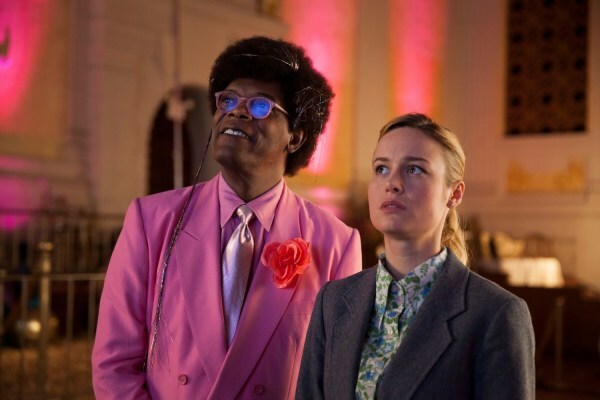 Eager for a reunion of Captain Marvel duo Brie Larson and Samuel L. Jackson? They did have hella chemistry in the superhero flick, but the next time they're together won't be to save the MCU (probably, can't speak for Avengers: Endgame) but in Larson's directorial debut, Unicorn Store, which has just dropped a rainbow-colored new trailer. Larson directs and stars in the film which debuted at TIFF and was recently picked up by Netflix. The story, penned by Samantha McIntyre , follows a whimsical dreamer who discovers a hidden store that offers her the one thing she's always wanted: her very own unicorn. A long time in the works, Rebel Wilson was originally attached to star with Miguel Arteta behind the camera. With Larson's Oscar-winning profile and recent work with Marvel, there's guaranteed to be more eyes on this movie now. Also starring Joan Cusack, Bradley Whitford, Mamoudou Athie, Karan Soni, and Hamish Linklater, Unicorn Store hits Netflix on April 5th.